I had a nice, relaxing 4 day weekend. I actually requested, and had approved, 2 consecutive days off work. I know that may not seem like much to some people, but I rarely get approved to have more than 1 day off at a time. I am essentially a department of one, and when I am gone--nothing gets done. It was refreshing, but busy! I took Mr. Henry shopping and to see a movie on Friday. 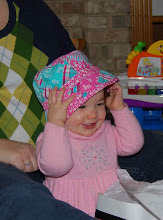 We picked up some good sale item from American Eagle and Aeropostale--she was very happy! We also saw "Percy Jackson and the Olympians". It was a great movie! I really want to start reading these books. On Friday, Miss Pretty got sick. We had plans to go to a family-friendly dinner party at a friend's house that night. My husband (who gets major points for this one) stayed home with her, so Mr. Oswald and I could go. Mr. Oswald got to play with her new bestie and I got some much needed adult conversation! By Saturday night, both little girls were sick and we were up all night with one or the other! Rob had clean the kid duty and I had strip and wash the bed duty. It was not a fun night! Sunday was Valentine's Day, but it was also a Tae Kwon Do test for Mr. Henry and I. The test went well. I was really hard with a lot of verbal. It may seem strange to hear that a TKD test has a verbal component, but it does. As a student, you need to learn a lot of Korean terms and the meaning behind what you are doing. As always, we had to complete a board break to advance to the next level. Mr. Henry and I both broke on our first try! We are both now Green Stripe students, 7th Gup. Valentine's was also special because my husband got me a replacement wedding ring! I was so surprised. More about that another day. Monday was my last day off, but my husband was working from home. I took the kids out for most of the morning. We ran a bunch of errands and then went for "fresh, peach smoothies"! I had to put that in quotes because Mr. Oswald has been requesting "fresh, peach smoothies" everyday. She loves to watch iCarly with her older sister, and that is something the show characters talk about a lot! She was quite happy with her "fresh, peach smoothie". On the diet front, I am now down 13.7 pounds! I also went to be measured yesterday, and I am down 11 inches--most from around my waist and hips! I no longer have a muffin top!!!! !